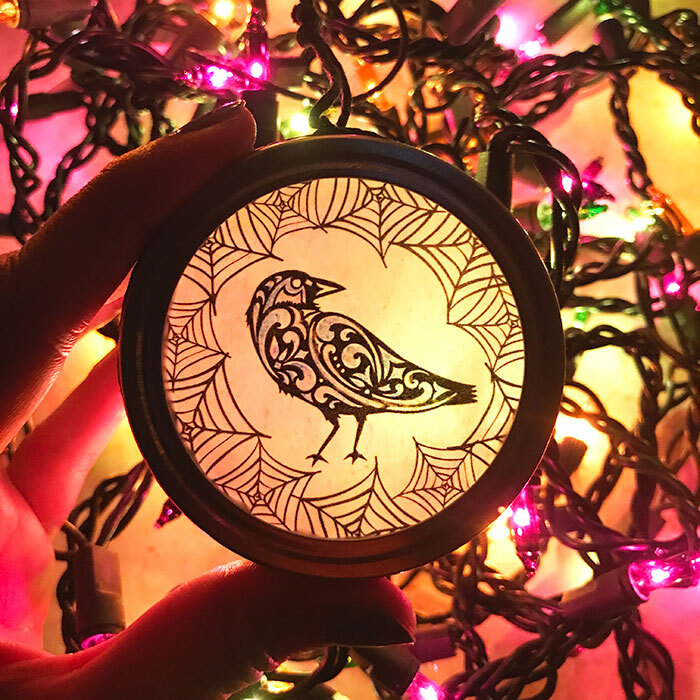 Jen with 100 Directions is back again this month with a tutorial on how to make your own raven sun catcher! These are perfect for Halloween so make up some and add them to your windows! 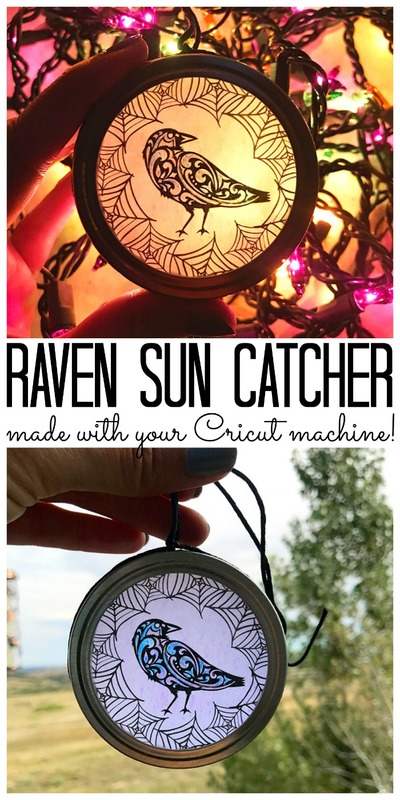 Make your raven sun catcher for Halloween. This decor craft is really simple to create and you can even customize with all kinds of Halloween art. 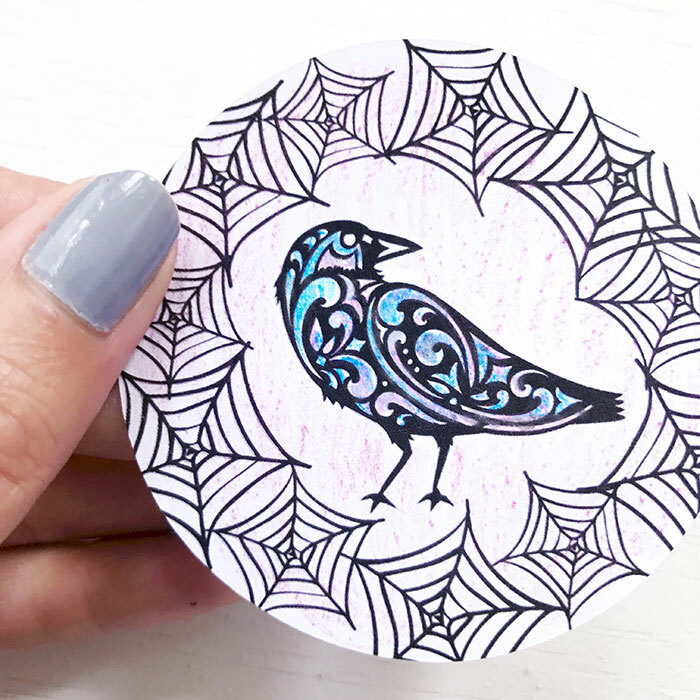 Today I’m using my Cricut machine to create this raven and spiderweb art design. Grab a few mason jar lid rings and let’s get crafting today! Add in some Halloween holiday lights and this art project is perfect for party decor too. I’ve created a Cricut Design Space canvas all set up and ready for you to make. The size is perfect to fit a standard mason jar lid but you can change the sizing to fit various lid sizes as well. You can use this raven design available through Cricut Design Space, or personalize with your own favorite Halloween design. 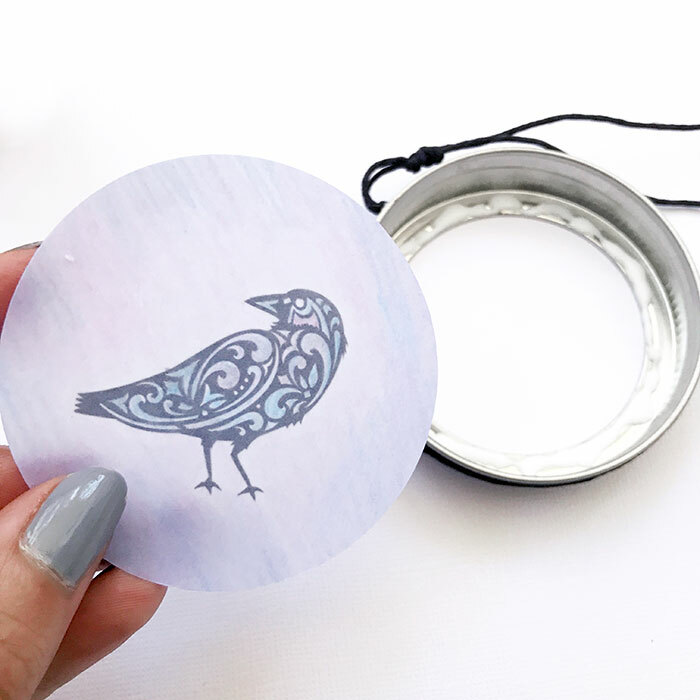 Tip: when you first view the raven art in Cricut Design Space, it appears to be covered by a circle. This is correct. We want the spiderweb and raven to print and then cut into a circle, cropping some of the spiderweb. So, the circle is not flattened with the art, it is merely attached to the art. Also, the art is flattened to a square. This is so that the web and raven shapes are not cut out but only printed. 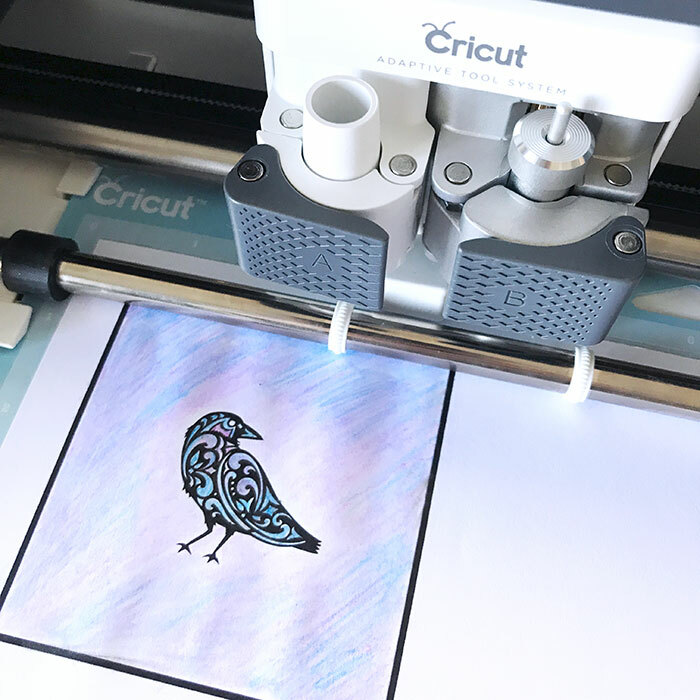 Go to the raven design in Cricut Design Space and follow the on-screen instructions to print and then cut the art. Tip: I like to print the art, color it and then send it through the Cricut to cut. It seems a little easier to fill the entire art space with color if you color before cutting. 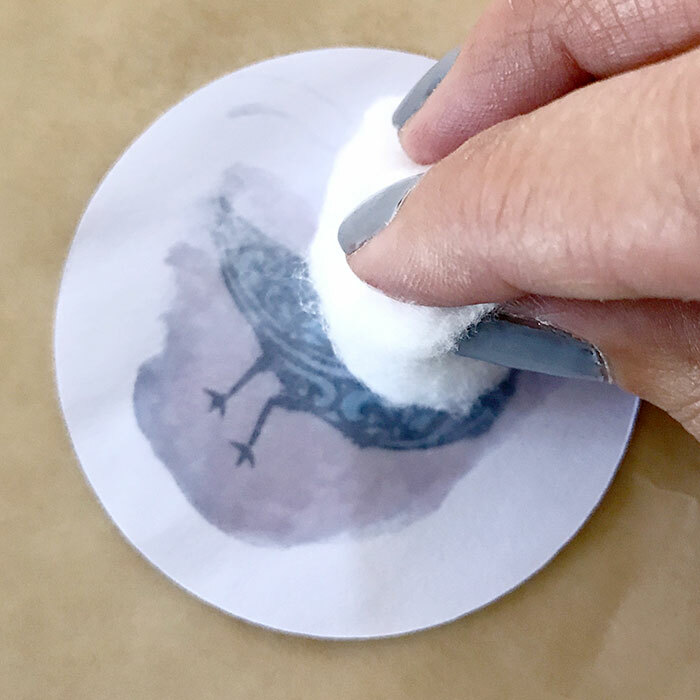 Using a cotton ball, apply some oil to the back of the raven art. Then pat dry with a paper towel or napkin to remove excess oil. This is what makes the paper more translucent to allow light through the art design. 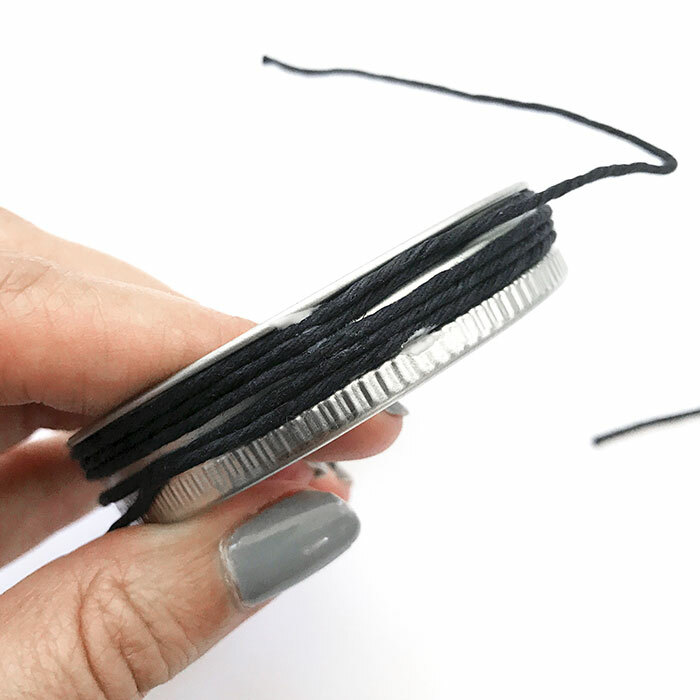 Apply glue to the inside ring of the mason jar lid. Then adhere art to the inside of the mason jar lid. Apply a little glue to the outside of the mason jar lid. Then wrap twine around lid, leaving excess twine to create a little hanging loop at the top of the ring. 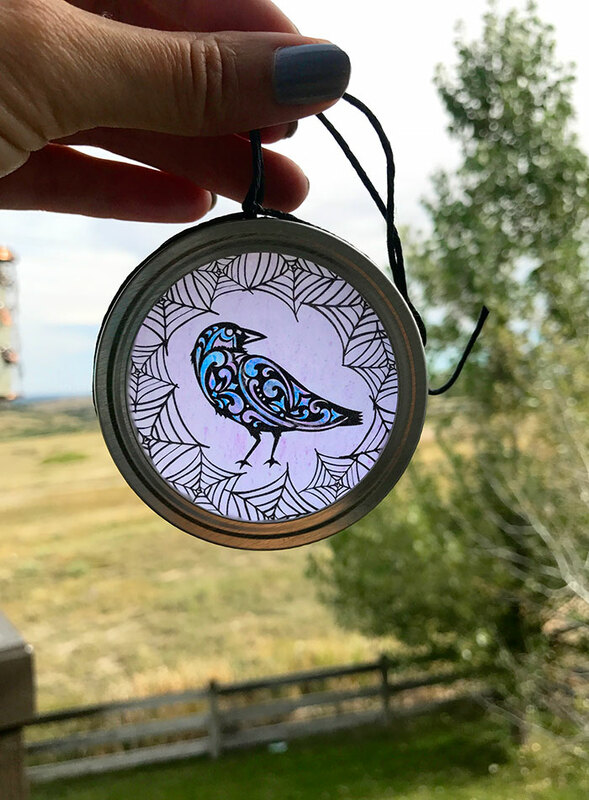 I hope you have fun making this raven sun catcher with your Cricut. Check out my other Halloween decor ideas using this raven and spiderweb art here. Happy Halloween creating! So, tell us, what are your creating this Halloween? We would love to see your pictures! Want more Halloween ideas with your Cricut? Click here to see over 50 fun Halloween crafts that can be made in 15 minutes or less! Wow, that machine is amazing! It’s a cute craft for those having the machine. Thanks for sharing at Sweet Inspiration too!